Whether you consider them the blueprint for a maturing punk band or require a template to inject driving rock into an aspiring country band, Jason and the Scorchers is still a vivid reminder of how two worlds can collide for a dramatic effect. 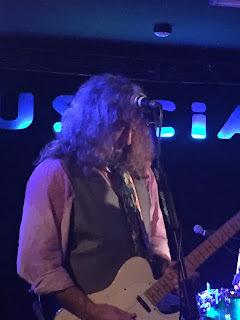 Sizzling electricity, flowing humility and fervent appreciation were just three features to describe their latest visit to the Musician in Leicester, which proudly displayed the ‘sold out’ board in the run up to this fabulous Friday night gig. 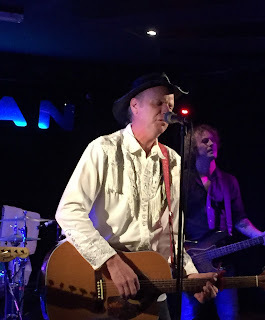 Without the need for a support act on this occasion, Jason and his latest band of Scorchers flushed out thirty five years of material over the course of two and a half hours full of energy and devoid of any of the hindrances of time. The cemented love between spectacular lead guitarist Warner E. Hodges and humble frontman Jason Ringenberg was in unrelenting mode as their chemistry is core to the Scorchers buzz and has been for many years. Warner effortlessly moves between country and rock licks with stunning effect, while Jason meets many an insightful musing with oozes of charisma as inspired by the architects of the post punk new wave era. It was around this time (early eighties), that the fresh faced Jason bounded into Nashville, Tennessee determined to break the mould with a new sound. 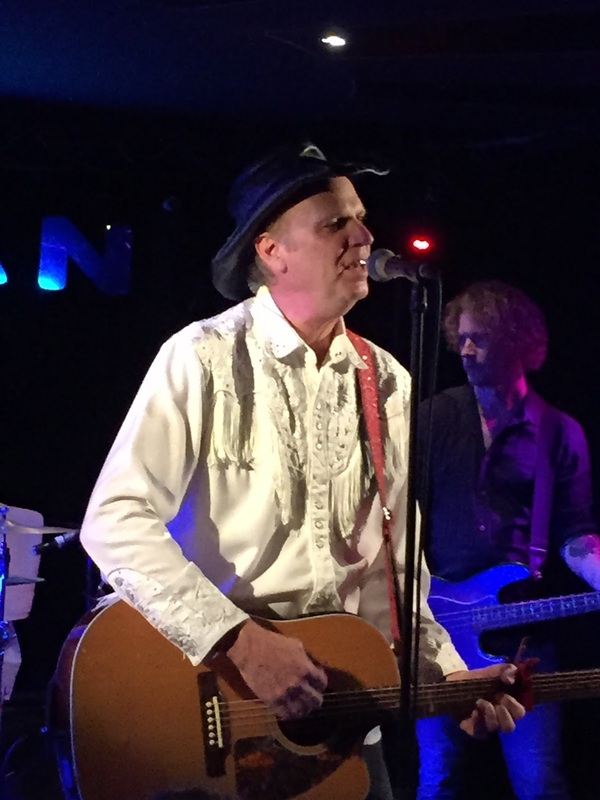 Whether he succeeded is immaterial to the legions of Scorchers followers over the years, but EMI certainly took an interest for a couple of the band’s most productive years and many stories about this era surfaced during the evening. Jason also remembered the late Scorchers drummer Perry Baggs who passed away in 2012. It is to the credit of new recruit, Swede Pontus Snibb that he is also highly rated by the appreciative Jason and adds the diversity of occasionally stepping forward to swap drum kit for guitar and lead vocals. For this short tour, regular bassist Al Collins was occupied elsewhere for shows with his wife Stacie and another Swede, Micke Nilsson stepped up to valiantly fill the second rhythm slot. As a combo they nailed song after song, mainly up tempo (as you would expect from a band with their roots), but equally lower key when Jason deals with classic country on its terms. However his thumping trademark cover of ‘Lost Highway’ showed how he set the agenda in the eighties for a pioneering sound that, while aligned with alt-country rock, had that unique new wave feel. One of the aspects that thrills Jason when he tours the UK is the immensely positive reception of his 2010 album HALCYON TIMES. He rattled through half of this release during the show including tracks such as ‘Mona Lee’, ‘Getting Nowhere Fast’ and ‘Better Than This’. Jason said he was taking a request from himself for the encore and suitably delivered a fine rendition of ‘Twang Town Blues’ before the usual raucous finale. While this show was primarily about the energy of the Scorchers sound, a song that really stood out from the 1983 album FERVOR was ‘Pray for Me Mama (I’m a Gypsy Now)’, which saw Jason at his country best. Of course it was the old favourites which oiled some action into the joints of the Scorchers faithful led by the Dylan fast paced re-work ‘Absolutely Sweet Marie’, the homage to Parsons and McGuinn ‘Drug Store Truck Drivin' Man’, the exhilarating ‘I Can’t Help Myself’ and the closing rebel rouser ‘White Lies’. As at virtually every Scorchers concert, the audience lent a hand to ‘Broken Whiskey Glass’, the band’s signature tune which explodes mid-song into the most awesome change of pace. While it personally was a little sad that ‘Shop it Around’ wasn’t included, the story and playing of ‘Bible and a Gun’ with its Steve Earle origins made for a lauded replacement, explicitly perfecting one view of the South as perceived by many afar. It has been nearly three years since Jason and the Scorchers last visited The Musician and the anticipated wait added an extra edge to the show. Local promoters Cheeseweasel deserve praise for continually bringing the band back to the wider Midlands area and it is fingers crossed for a repeat in the not too distant future. The final food for thought is perhaps the love shown towards HALCYON TIMES could add a spark to some new material and Jason Ringenberg is far too young and talented to slip comfortably into a retro mode, as much as folks love the old material. It was the range of songs, explosive style and instant connection that made tonight special. Definitely a gig of the year candidate and one that will have many fans buzzing for a lengthy period after the show. Jason and the Scorchers is quite simply an amazing live band sounding still fresh and vibrant after all these years.